WooCommerce Petshop Theme: A Storefront child theme for pet shops, Petshop is a Storefront child theme designed for stores selling products in the pet industry. The design is organic and friendly, featuring many details that point to pet ownership. 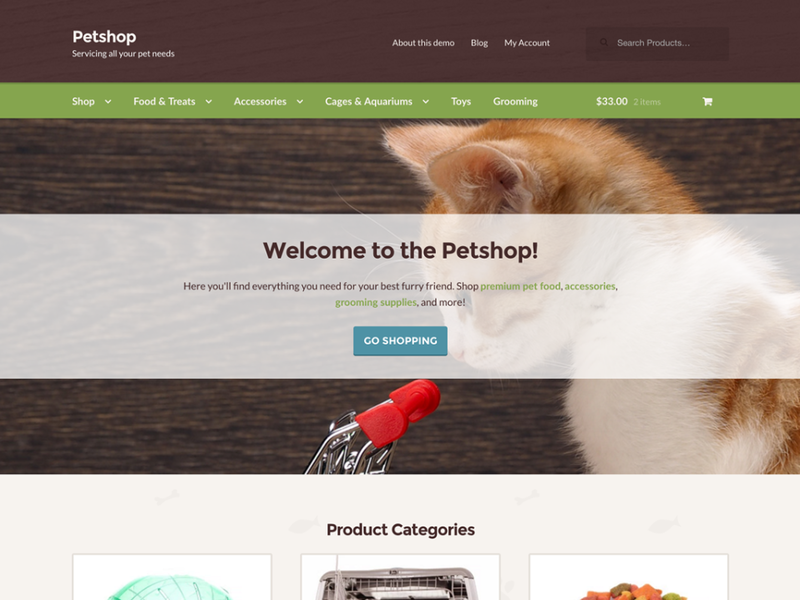 Petshop is a Storefront child theme that has been designed for online stores selling pet goods. It features a nature-inspired color scheme that complements the pet industry. Petshop is built on the robust Storefront core parent theme that you know and love. Enjoy 100% compatibility with the latest version of WooCommerce and customer-facing WooCommerce extensions.